Albert H DUTTON-11122 was born 1 on 27 Jan 1868 in Waitsfield, Washington, Vermont, United States. He died 2 on 12 May 1947 in Hanover, Grafton, New Hampshire, United States. Albert married 3 (MRIN:4781) Addie Emma FARR [twin]-11114 on 5 Feb 1896 in Hartford, Windsor, Vermont, United States. Addie Emma FARR [twin] [Parents] [scrapbook]-11114 was born 1 on 24 Feb 1867 in Waitsfield, Washington, Vermont, United States. She died 2 on 21 Jun 1945 in White River Junction, Windsor, Vermont, United States from of coronary thrombosis. Addie married 3 (MRIN:4781) Albert H DUTTON-11122 on 5 Feb 1896 in Hartford, Windsor, Vermont, United States. BIRTH: Death certificate states birth as 28 Feb 1868. Luther Daniel CHATTERTON-11123 was born on 20 Dec 1859 in Wolcott, Lamoille, Vermont, United States. He died on 24 Jun 1936 in Wolcott, Lamoille, Vermont, United States. Luther married 1 (MRIN:4782) Martha M FARR-11115 on 21 Sep 1880 in Waitsfield, Washington, Vermont, United States. Martha M FARR [Parents] [scrapbook]-11115 was born 1 on 1 Jul 1860 in Waitsfield, Washington, Vermont, United States. She died on 21 May 1934. Martha married 2 (MRIN:4782) Luther Daniel CHATTERTON-11123 on 21 Sep 1880 in Waitsfield, Washington, Vermont, United States. Lewis William FARR [Parents] [scrapbook]-11116 was born 1 on 5 Aug 1857 in Waitsfield, Washington, Vermont, United States. He died 2, 3 on 25 Jan 1944 in Queens, New York, United States. He was buried 4 on 28 Jan 1944 in Earlville, Madison, New York, United States. Lewis married 5 (MRIN:4783) Caroline Elizabeth MINOR "Carrie"-11124 on 19 Oct 1880 in Waitsfield, Washington, Vermont, United States. Tinsmith; invented a dishwasher resembling a cream separator. Caroline Elizabeth "Carrie" MINOR [scrapbook]-11124 was born on 29 Jul 1861 in Warren, Washington, Vermont, United States. She died 1 on 10 May 1909 in Waitsfield, Washington, Vermont, United States. She was buried in Waitsfield, Washington, Vermont, United States. Carrie married 2 (MRIN:4783) Lewis William FARR-11116 on 19 Oct 1880 in Waitsfield, Washington, Vermont, United States. Carrie was counted in a census 3 in 1870 in Warren, Washington, Vermont, United States. Occupation 1: Taught short-hand and typing-set world speed record for typing. Occupation 2: Minister; worked with unwed mothers. F i Mildred Clara "Millie" FARR-11126 was born on 20 Sep 1884. She died on 11 May 1965. M ii Alton Everett FARR-11127 was born on 8 Nov 1881. He died on 17 Oct 1940 from of tuberculosis. Lewis William FARR [Parents] [scrapbook]-11116 was born 1 on 5 Aug 1857 in Waitsfield, Washington, Vermont, United States. He died 2, 3 on 25 Jan 1944 in Queens, New York, United States. He was buried 4 on 28 Jan 1944 in Earlville, Madison, New York, United States. Lewis married (MRIN:4784) Alma Valerie STETSON-11125 on 12 Sep 1888. Alma Valerie STETSON [scrapbook]-11125 was born 1 on 6 Jan 1862 in of Massena, St. Lawrence, New York, United States. She died 2 on 16 May 1945 in Queens, New York, United States. She was buried 3 on 19 May 1945 in Earlville, Madison, New York, United States. 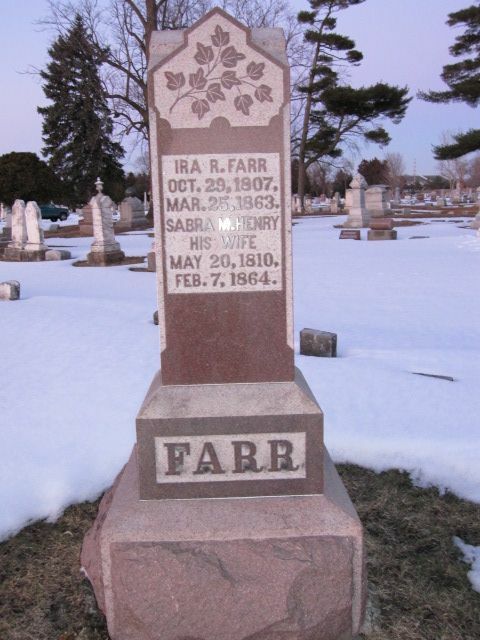 Alma married (MRIN:4784) Lewis William FARR-11116 on 12 Sep 1888.
infant FARR-11128 was born on 8 Mar 1899 in Earlville, Madison, New York, United States. 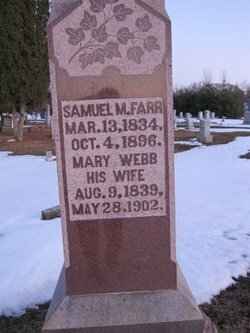 She died on 11 Mar 1899 in Earlville, Madison, New York, United States. DEATH: A wet nurse fell asleep and rolled on her. M ii Roy Stetson FARR-11129 was born on 22 Aug 1889. He died on 4 Sep 1970. Earl Adams BOYCE-11133 was born 1 on 1 Nov 1898 in Williamstown, Orange, Vermont, United States. He died 2 on 19 Feb 1979 in Williamstown, Orange, Vermont, United States. Earl married 3 (MRIN:4785) Mildred Clara FARR "Millie"-11126 on 12 Aug 1922 in Williamstown, Orange, Vermont, United States. Earl Adams Boyce was born in Williamstown, Vermont, in the home of his parents, on what was once called the Brookfield Road, now known as Rood Pond RD.He attended the Boyce School (District #8) just down the hill, and attended Williamstown High School, which at that time was a 2 year program.He was Valedictorian of his class in 1913. He attended Spaulding High School in Barre, staying at his aunt's place during the week and going home on the weekend to Williamstown on the railroad.Earl graduated from Spaulding in 1915. Although he wanted to become an attorney, he had to stay on the farm and take care of his mother, after the death of his father in 1918.He was a farmer for his entire lifetime, having a small dairy herd, and doing all of the work of the farm by horses up until 1965. Earl Boyce was a maple sugarmaker, and won various awards at the Vermont Farm Show in Barre, VT for his high quality syrup. Moderator of Williamstown for about 14 years. He never missed a town meeting since he was eligible to vote in 1919. During the 1960's, he heard various traffic cases as Justice of the Peace. In the Jeffords Family History (1962) by Percy J. Jeffords, Earl Boyce is referred to as "a substantial and respected citizen of the town. "He was never wealthy, but was honest and well regarded. He died in a fire on Feb. 19th, 1979, in the very house that he was born in over 80 years previously. BIRTH: FamilySearch transcription says "1899" but after close examination of the record on film it should be "1898". Mildred Clara "Millie" FARR [Parents] [scrapbook]-11126 was born 1, 2 on 20 Sep 1884 in Moretown, Washington, Vermont, United States. She died 3 on 11 May 1965 in Williamstown, Orange, Vermont, United States. Millie married 4 (MRIN:4785) Earl Adams BOYCE-11133 on 12 Aug 1922 in Williamstown, Orange, Vermont, United States. Millie was counted in a census 5 in 1900 in Waitsfield, Washington, Vermont, United States. Mildred Clara Farr was a graduate of Montpelier Seminary and taught school in various towns in Vermont before her marriage in 1922. She was a gifted naturalist and poet, especially well-versed in ferns, and was called upon often as a speaker. Alton Everett FARR [Parents] [scrapbook]-11127 was born 1 on 8 Nov 1881 in Moretown, Washington, Vermont, United States. He died 2 on 17 Oct 1940 in Waitsfield, Washington, Vermont, United States from of tuberculosis. He was buried on 20 Oct 1940 in Waitsfield, Washington, Vermont, United States. Alton married 3 (MRIN:4786) Mary Belle ROSE-11130 on 8 Nov 1904 in Gloucester, Essex, Massachusetts, United States. Alton was counted in a census 4 in 1900 in Waitsfield, Washington, Vermont, United States. I find a birth record for a Lewis E Farr being born on the 8th Nov. 1881 which is the same date given in census records for Alton E Farr? I can't find a birth record for Alton or a death for Lewis so I believe that the birth record for Lewis is actually Alton? Mary Belle ROSE-11130 was born on 24 May 1883 in Cape Breton, Nova Scotia, Canada. She was christened on 26 Feb 1884 in West Bay, Richmond, Nova Scotia, Canada. She died 1 on 1 Apr 1971 in Stoneham, Middlesex, Massachusetts, United States. She was buried on 3 Apr 1971 in Newburyport, Essex, Massachusetts, United States. Mary married 2 (MRIN:4786) Alton Everett FARR-11127 on 8 Nov 1904 in Gloucester, Essex, Massachusetts, United States. M i Everett Edward FARR-11149 was born on 23 Oct 1905. He died on 1 Nov 1986. F ii Ruth Carolyn FARR-11150 was born on 6 Feb 1907. She died on 3 Jun 2001. Alton Everett FARR [Parents] [scrapbook]-11127 was born 1 on 8 Nov 1881 in Moretown, Washington, Vermont, United States. He died 2 on 17 Oct 1940 in Waitsfield, Washington, Vermont, United States from of tuberculosis. He was buried on 20 Oct 1940 in Waitsfield, Washington, Vermont, United States. Alton married 3 (MRIN:4787) Eunice Florence BUZZELL-11131 on 14 Sep 1924 in Waitsfield, Washington, Vermont, United States. Eunice Florence BUZZELL-11131 was born 1 on 13 Dec 1897 in Warren, Washington, Vermont, United States. She died 2 on 13 Nov 1965 in Montpelier, Washington, Vermont, United States from of Cerebral Vascular Thrombosis. She was buried in Waitsfield, Washington, Vermont, United States. Eunice married 3 (MRIN:4787) Alton Everett FARR-11127 on 14 Sep 1924 in Waitsfield, Washington, Vermont, United States. Alton Everett FARR Jr. [scrapbook]-11132 was born 1 on 6 Feb 1928 in Montpelier, Washington, Vermont, United States. He died 2 on 9 Feb 1928 in Montpelier, Washington, Vermont, United States. 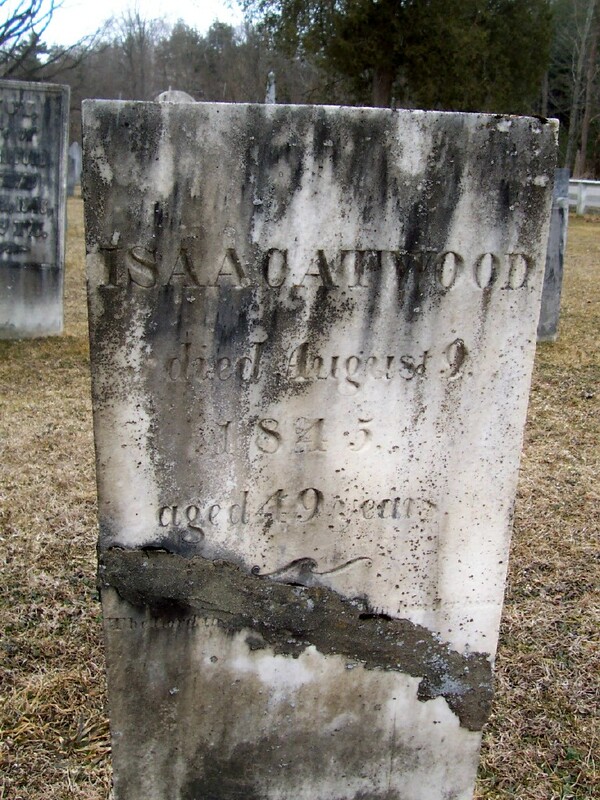 He was buried in Waitsfield, Washington, Vermont, United States. Eleanor Geraldine FARR-11152 was born 1 on 14 Oct 1931 in Burlington, Chittenden, Vermont, United States. She died on 3 May 2015 in East Warren, Warren, Washington, Vermont, United States. Eleanor was counted in a census 2 in 1940 in Waitsfield, Washington, Vermont, United States. Roy Stetson FARR [Parents] [scrapbook]-11129 was born 1 on 22 Aug 1889 in Massena, St. Lawrence, New York, United States. He died on 4 Sep 1970 in Westbury, Nassau, New York, United States. He was buried in Kew Gardens, Queens, New York, United States. Roy married 2 (MRIN:4788) Mary Emma FREUDE-11134 on 9 Jun 1916 in Queens, New York, United States. Managed an ice plant in Haiti. Mary Emma FREUDE-11134 was born in 1890 in New York, United States. She was buried in Kew Gardens, Queens, New York, United States. Mary married 1 (MRIN:4788) Roy Stetson FARR-11129 on 9 Jun 1916 in Queens, New York, United States. F i Alma FARR-11136 was born on 30 May 1920. She died on 8 Mar 2007. F ii Elinor FARR-11137 was born on 7 Apr 1922. She died on 4 Oct 2003. Roy Stetson FARR Jr. [scrapbook]-11135 was born 1, 2 on 17 Aug 1928 in Port-au-Prince, Ouest, Haiti. He died 3 on 6 May 1946 in Queens, New York, United States from of sleeping sickness. He was buried in Kew Gardens, Queens, New York, United States. Roy was counted in a census 4 in 1940 in Queens, New York, United States. Alma FARR [Parents]-11136 was born 1 on 30 May 1920 in Pennsylvania, United States. She died 2 on 8 Mar 2007. She was buried in Delaware, United States. Alma married (MRIN:4789) James Kirkland LAMBERTON-11285. Alma was counted in a census 3 in 1940 in Queens, New York, United States. Ralph FREUDENBERGER-11286 was born 1 on 11 Dec 1914 in Pennsylvania, United States. He died 2 on 22 Feb 2001 in North Carolina, United States. Ralph married (MRIN:4790) Elinor FARR-11137 in 1942. Elinor FARR [Parents]-11137 was born on 7 Apr 1922 in Jamaica, Queens, New York, United States. She died on 4 Oct 2003 in Wilmington, New Hanover, North Carolina, United States. She was buried in Wilmington, New Hanover, North Carolina, United States. Elinor married (MRIN:4790) Ralph FREUDENBERGER-11286 in 1942. Elinor was counted in a census 1 in 1940 in Queens, New York, United States.